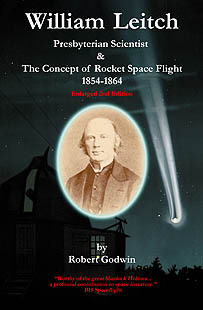 In 2015 author Robert Godwin revealed the story of William Leitch an almost unknown Scottish/Canadian scientist who in 1861 suggested that rockets could be used for spaceflight because they obeyed Newtonian principles. In William Leitch Presbyterian Scientist and the Concept of Rocket Spaceflight 1854-64 Godwin reveals the life of this brilliant mind from the early Victorian era. In September 1861 Leitch wrote an essay called "A Journey Through Space" in which he proposed the idea that a rocket would be the most efficient way to travel outside the Earth's atmosphere. His idea would be forgotten and not be "rediscovered" for another three decades. Beginning from Leitch's humble birth on the Isle of Bute in western Scotland, this book takes you through his education alongside William Thomson, later the most famous scientist of the 19th century, through his many scientific lectures on everything from the mysteries of electricity to the viability of alien life on other planets, before concluding in Kingston Ontario where he struggled to convince Canada's first Prime Minister to try and establish a fair educational system for all Canadians. In this greatly expanded second edition Godwin dissects more than three dozen newly discovered essays by William Leitch in which he discusses some of the profound mysteries of all time. Babbage and his "analytical engine" and the significance of artificial intelligence; the special relationship between light and time and a connection to Albert Einstein; the need for a grand unifying theory to explain the universe; a remote possibility of a connection to Robert Goddard and a very definite connection to the flight of Apollo 11. The story of William Leitch shatters many modern preconceptions about the fragile truce between science and religion in the early 19th century and adds a new wrinkle in the history of space flight. 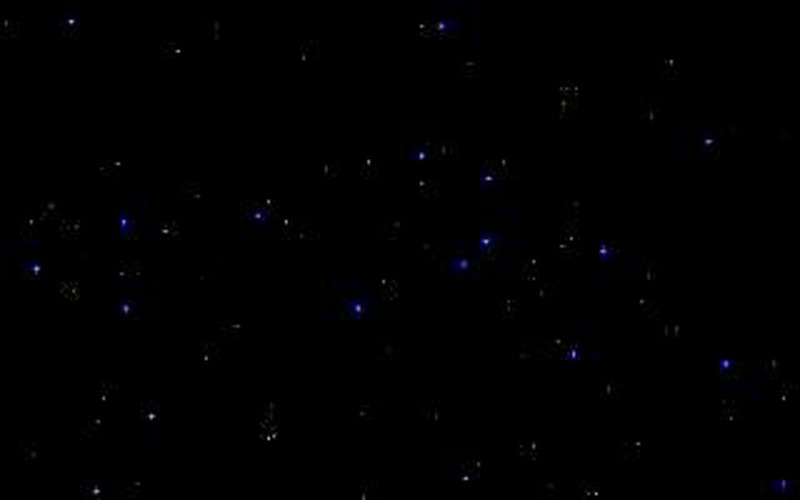 Robert Godwin is the owner and founder of Apogee Space Books. He is also the Space Curator at the Canadian Air & Space Museum. He has written or edited over 100 books including the award winning series "The NASA Mission Reports". 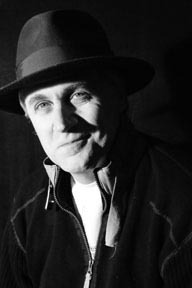 Robert has appeared on dozens of radio and television programs in Canada, the USA and England as an expert on, not only music, but also space exploration. His books have been discussed on CNN, the CBC, the BBC and CBS 60 Minutes. He produced the first ever virtual reality panoramas of the Apollo lunar surface photography and the first multi-camera angle movie of the Apollo 11 moonwalk. His book "New Horizons" expanded on that previous ground-breaking work. Robert is a member of the International Astronautical Federation and American Astronautical Society History Committees.